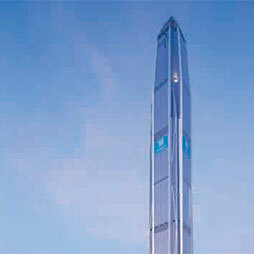 London – The developers of The Shard showed remarkable tenacity in bringing it to fruition. 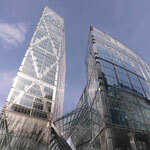 London – Featuring a three-story public sky garden located at the top of the building, 20 Fenchurch Street is located in the financial district of the City of London. 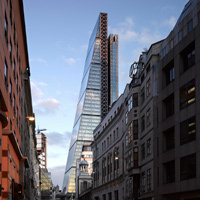 London – The Leadenhall Building leans back to make way for views to St. Paul’s Cathedral and other historic sites in a crowded section of the City of London. Featuring a three-story public sky garden located at the top of the building, 20 Fenchurch Street is located in the financial district of the City of London. alinea consulting provides independent cost, value, procurement and risk management advice and their product is delivering optimum value and certainty of outcome. They are clear that at the core of their formation is the fundamental belief that there is a better way to support clients; they want to be the best and believe they can be the best. 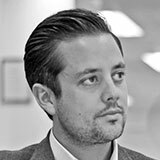 Their decades of combined experience across a diverse range of sectors allows them to apply credible knowledge and expertise for the benefit of the client, the team and the project.Their vision is to become the most sought after cost consultancy in the UK, driven by a clear and strong focus on service excellence. 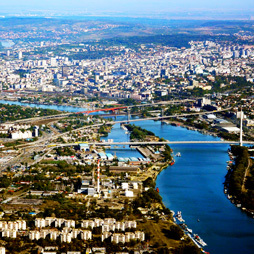 Join CTBUH Serbia for a regional conference, which promises to assemble leading architects, designers, construction experts, and developers for an engaging series of presentations. The first 2018 Leaders Meeting brought together CTBUH leaders from around the world to provide mid-year updates on the Council's major initiatives. 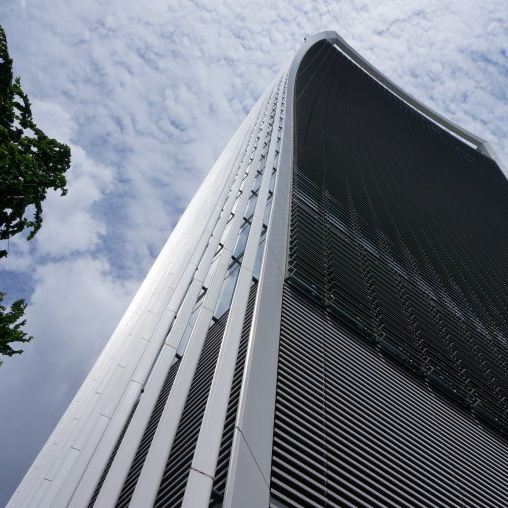 The CTBUH UK Chapter recently hosted a conversation between architects and engineers on the geometry of tall buildings and its impact on the design trends of the future. CTBUH Turkey held its inaugural chapter event at the Hilton Istanbul, where industry experts spoke with over 120 guests on topics relating to the theme "Tall & Green." The CTBUH United Kingdom Chapter hosted its first annual year-end social event at McQueen in London. The event concluded a successful year. 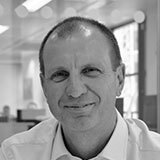 On the second day of the 2017 Australia Conference, all conference delegates gathered in Sydney to see Steve Watts sworn in as the next chairman of CTBUH. The Annual Leaders Meeting was held the day before the start of the CTBUH 2017 Australia Conference, bringing together the Council’s leaders. The Board of Trustees convened for the second time in 2017, just prior to the Australia Conference. This meeting marked a few significant changes to the Board. The Council on Tall Buildings and Urban Habitat is pleased to announce that Steve Watts has been confirmed to become the organization’s next chairman. CTBUH held its first Manchester event in coordination with the CTBUH UK Chapter in a debate on the development of urban housing in the city. CTBUH UK Learns About "A Day in the Life of The Shard"
An audience of 100 streamed into the Warwick Business School on the 17th floor of the Shard, to hear about the challenges of operating the tallest building in Western Europe. 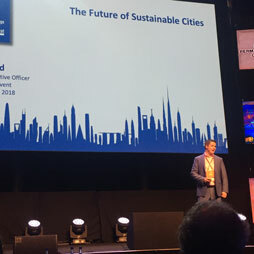 CTBUH Germany held a symposium to discuss the role of technical and technological innovation and its effect on the various disciplines within the construction industry. 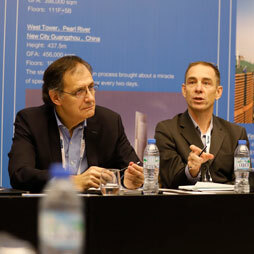 CTBUH Italy co-hosted the seventh edition of the one-day International Tall Buildings Conference held in Milan, which focused on various challenges of tall buildings. The Board of Trustees held their second meeting of the year in conjunction with the 2016 Conference to discuss the Council’s plans for 2017. A discussion on the application of Computational Fluid Dynamics, a successful technology in motorsport and aerospace, to architecture and tall buildings. Steve Watts, Alinea Consulting; Antony Wood, CTBUH; Matt Hayward, 5Plus Architects; et al. Steve Watts of alinea consulting and CTBUH Chairman-Elect is interviewed by Chris Bentley during the 2017 CTBUH Australia Conference. 26 Jul 2017 – Other Videos; Steve Watts, Alinea Consulting; Antony Wood, CTBUH; Matt Hayward, 5Plus Architects; et al. On July 26. 2017 the CTBUH held its first Manchester event in coordination with the CTBUH UK Chapter, marking the occasion with a debate on the development of urban housing in the city. 150m+ Buildings 6 Completed • 1 Under Constr.